The Organization for Economic Cooperation and Development is making progress on dealing with the tax challenges of the digital economy with a goal of arriving at a new consensus-based long-term solution in 2020. The OECD announced last week that the countries and jurisdictions participating in the OECD/G20 Inclusive Framework on Base Erosion and Profit Shifting, or BEPS for short, will step up their efforts in the year ahead to reaching a global solution to the growing debate over how to best tax multinational enterprises in a rapidly digitalizing economy. The OECD published a policy note on addressing the tax challenges of the digitalization of the economy, along with a progress report on how it is dealing with harmful practices as part of the BEPS project. 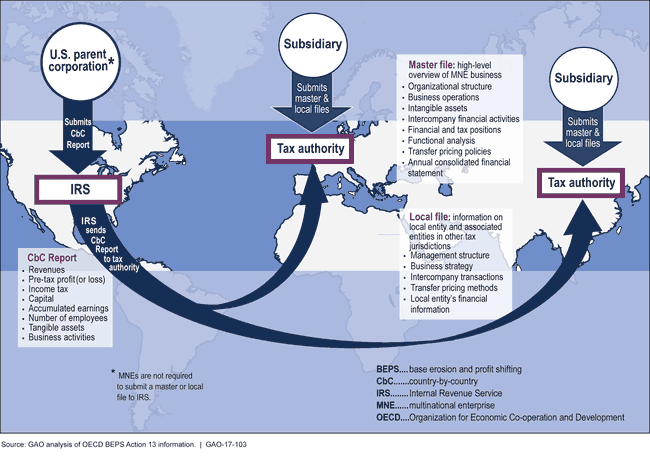 The OECD has been monitoring progress on its BEPS action plan for curbing tax avoidance practices by multinational companies that have been using strategies such as transfer pricing to lower the amount of taxes they pay. The international discussions will focus on two of the main pillars recently identified by the OECD after a meeting last month that brought together 264 delegates from 95 jurisdictions and 12 observer organizations. The first will focus on how the existing rules that divide up the right to tax the income of multinational enterprises among jurisdictions, including traditional transfer-pricing rules and the arm’s length principle, could be modified to take into account the changes that digitalization has brought to the world economy. The OECD acknowledged that would require a re-examination of the “nexus” rules for how to determine the connection a business has with a given jurisdiction, along with the rules governing how much profit should be allocated to the business conducted there. The new framework will examine proposals based on the concepts of marketing intangibles, user contribution and significant economic presence and how they can be employed to modernize the international tax system to address the tax challenges of digitalization. A second pillar in the framework aims to resolve the remaining BEPS issues and will explore two sets of related rules designed to give jurisdictions a remedy in cases where income is subject to no or only very low taxation. The OECD plans to issue a consultation document describing the two pillars in more detail and to hold a public consultation meeting in Paris next month as part of the meeting of the Task Force on the Digital Economy. Further details will be released in the next few weeks. In the U.S., the Republican and Democratic leaders of the Senate Finance Committee, Chairman Chuck Grassley, R-Iowa, and Ranking Member Ron Wyden, D-Ore., responded to the OECD announcement with a letter to Treasury Secretary Steven Mnuchin. They reaffirmed their support for the U.S. to remain engaged in the OECD process, but at the same time reiterated their opposition to attempts by the European Union to target U.S.-based multinational companies with a digital services tax. Last October, Wyden and former Senator Orrin Hatch, R-Utah, who chaired the Finance Committee at the time, sent a letter to the presidents of the European Council and the European Commission expressing strong concerns about the European Commission’s proposal to enact a digital services tax targeted at certain U.S.-based multinational companies, such as Amazon and Facebook. They called on the European Council and European Commission to abandon the proposal and on member states to delay implementing unilateral measures similar to the digital services tax, while recommending that countries work within the OECD to reach consensus on a multilateral solution to these issues.